oumou is using Smore newsletters to spread the word online. Many people claim that genetic modification is definitely not the way to go but in others point of view they think otherwise. 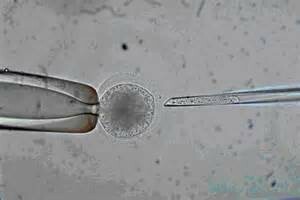 Cloning as all know is when DNA is taken and modified into what you want. For some people they want a baby but cant receive one so they "design it". But for some people they take that as excuse to get a designer baby and used them parts that's not good that's where the controversy is. That's where many scientist, extremist, farmers , and radicals come into play. Everyone has there own point of view on this issue. Here I will explain and give many people part take on this issue. Fred Kirschenmann is an organic farmer and he choose not to plant genetically engineered seeds. He states "we manipulate things and try to get things to grow the way we want them to grow. But its using a much more powerful technology now, so it is different." What he is saying is that one day genetic engineering may go out of hand and we would not be able to reverse it. In the movie Jurassic park many types of cloning happened. Its actually happing in present day, in Iowa a cow has been cloned into a guar. 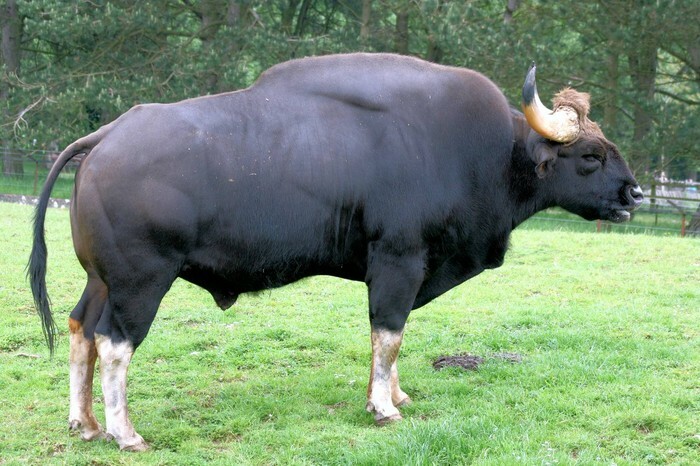 A guar is a ox like bull like animal that lives in India. This all happened with the process of DNA and cloning. They took the guar and changed up something's and added some things to make more bull and cow like. The cow named Bessie who lived in Iowa gave birth it the creature , but later on the creature died sadly. The well known Tasmanian tiger was extinct in 1930's. It lived in Australia. Many native aboriginal people hunted it. They wanted it for its teeth for knives and its fur for clothes. It was becoming endangered when they started to take notice. It was extinct fro a while when they found the last one. It became very popular. Thousands went to see it. But it later on died. That was it. Scientist are now trying to bring it back with the famous cloning teqnique. Biologist are trying to savaged all they can to make this tiger back to like. With a simple strand of DNA and some science it can make it happen. Genetic Modification can be either good or bad or bad depending the situation. It can be good. It can be bad. If a person clones just for the persons body parts, Then that not good at all. For example if a doctor starts to clone humans for body parts for the sick and doesn't care for the one who is giving the parts then that's the bad part. If a persons really wants a child then a designer baby is what they will be doing in order to receive that child. Many people like the idea many don't but in my opinion I don't like the idea with cloning I agree with Mr.KIrschenmann. It may get out of hand one day and we will be struggling to get back but you know everyone has there own opinion. Well you do know mine. If genetic engineering is so bad then why are we doing it. If its not healthy then why do we continue to eat it. Here is where the controversy comes in organic food is very expensive and most grocery stores. But not many can afford it so they just go towards the non organic. I agree with you some what but, GMO has not taken a toll on American people yet. It can happen when it goes overboard. And if it does go over board everyone will be trying and crying to go back to the old ways but its too late. It just my point of view. By the way great posts. I heard that genetically modified foods don't hurt us in any way, so why are you making it sound so bad? I mean everything we eat from strawberries to chicken have GMO's or isn't fresh. I mean organic food it good but its very expensive places like whole foods and sprouts is very expensive for many families that live in this country. But never the less it all come to the experts. Probably because you guys have research this topic and know more about. Either way it was really good and I hope to see more posts like this.